In this sequel to Bill Kirton’s “The Figurehead,” we meet wood carver, John Grant, once again, showing his strength and resolute character as he heads out of Aberdeen harbour with his fellow oarsmen in the Lifeboat. Meanwhile, Helen Anderson, frequently in John’s thoughts, is trying to persuade her father to allow her active participation in his business. Her parents know that she has grown close to John Grant, although he is not her social equal, but she does not follow the normal accepted behaviour of a young woman in 1841. She is keen to travel on one of her father’s ships, on part of its journey to the colonies, to see how accommodation might be improved. Imminent separation begins to drive John and Helen apart, as his new project to carve a figurehead for part of a ship on stage, brings him into frequent contact with an actress in the touring company. The discovery of the original star of the play, dead behind the fishing sheds, has made him determined to solve the possible murder and there are several likely suspects. The details of the shipping business and the life of a touring group of actors enrich this distinctive historical mystery and misunderstandings in the relationship between Helen and John are solved in an unusual manner, based on their love and respect for each other. A wonderful opportunity to discover the people and hardships of this thriving 19th century port. My review of The Figurehead. Bill Kirton was a university lecturer in French before taking early retirement to become a full-time writer. He’s won two 2011 Forward National Literature Awards – ‘The Sparrow Conundrum’ was the overall winner of the Humor category and ‘The Darkness’ was runner up in the Mystery category. ‘The Sparrow Conundrum’ also won the Readers’ Choice Award for satire/humor on the Big Al’s Books and Pals website in 2012. 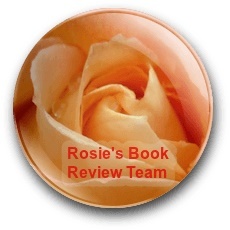 His historical mystery, ‘The Figurehead’, was long-listed for the 2012 Rubery Book Awards. When a U boat is spotted floating on the surface of the Atlantic in 1940 by a British destroyer, the remaining German crew accuse one of their shipmates of being a Jonah. Why then, in the Pacific in 1945, do the same events seem to be recurring on US Navy destroyer Brownlee? The protagonist of this novel, “Lucky” Mitch Kirkham is introduced to us as he and his crewmates are involved in a terrifying battle with a continuous attack by Japanese Kamikaze pilots. For the second time in his naval career, Mitch survives while others are killed. He finds himself an outcast, distrusted, disliked and mistreated by his immediate superior. When his life is threatened he is befriended by Father McGready, who gives him some hope that he will return home safely, but soon many of the crew are showing symptoms of hysteria, seeing ghosts and talking of a sea-monster. Mitch is a naturally curious individual, an interesting character to follow, but this leads him into more trouble. He no longer knows whom he can trust or who will be acting strangely, next. The author gradually reveals the back stories of Mitch and the other characters so that we understand their demons. Battle scenes are vividly described and full of tension. It is evident that Carl Rackman has thoroughly researched wartime life in the US navy and we can imagine ourselves on board the Brownlee. As the plot develops, the reader feels an increasing fear of imminent disaster leading to an eventful, surprising conclusion. Set in the late Victorian era in the claustrophobic environment of a sailing ship, this dark tale of passion, blackmail and murder is intensified by the onslaught of a savage storm and the threat of mutiny. The inevitable shipwreck must be investigated by an honest coroner, Frederick Blake, who arrives on the Isle of Wight, seeking the truth although thwarted, apparently, by government intervention. While Blake is ably assisted by Mr Rennie, a canny Scottish journalist, we read of the true events on board the Irex, in parallel to the investigation. After a false start when the newly built craft set out from Greenock in Scotland, Captain Will Hutton had to return the ship to port, due to the badly laden cargo of iron pipes. Eventually they were able to set sail for Rio de Janeiro with a sound crew and three unusual passengers. A married couple, George and Elizabeth Barstow, were Salvation Army missionaries, while the third passenger, Edward Clarence, a strange, arrogant man. Captain Hutton and many of his crew were captivated by the young Elizabeth Barstow, but as Clarence bribed the crew to do his will, Hutton felt increasing antipathy for him. The weather on their voyage went from bad to worse throughout the Irish Sea, and in the Bay of Biscay they were forced to return to the south of England. Frederick Blake is expecting a straightforward case of a wreck caused by the Captain’s error since the surviving crewmembers report Will Hutton’s irrational behaviour and obsession with Elizabeth Barstow, but why have two survivors disappeared on the island and who is the mysterious Mr Thornthwaite who has turned up to interfere with the enquiries? This tortuous tale is effectively described with excellent characterisation and I could not decide whether I wished to read more of the investigation or to return to the stifling atmosphere on board ship. Perhaps slightly long-winded in places, this thrilling story based on a real shipwreck with an exciting twist is well worth reading. To join in read the rules at the bottom. This week I searched for a book using the word East. 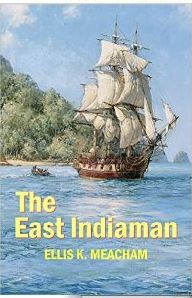 This brought up books using East End or East Anglia in their titles and of course East of Eden by John Steinbeck, but the cover picture which caught my eye was The East Indiaman by Ellis K Meacham the first book in the Percival Merewether series. Once again I have found an author who has died but is not famous. Ellis K. Meacham (1913-1998) was a Commander in the US Naval Reserve serving as a gunnery officer in the Pacific during the Second World War. He won the “Friends of American Writers Major Award in Fiction” in 1969 for THE EAST INDIAMAN. When I was quite young, I relished Mr Midshipman Easy by Captain Marryat and I have read a few Of Patrick O’Brian’s books including Master and Commander so a virtual long sea voyage on a sailing ship appeals to me. Armed with ten 9-pounders, the “Rapid” was a match for any pirate ship that crossed its bows, and in it Captain Merewether was to spend as action-packed and eventful a first year as any ambitious young sea-farer could have wished. Real life flawed characters. all the usual cliques but all actually true of these books. and importantly for a landlubber like myself, the author can clearly show a change in the ship’s direction without referring to every brace, sheet, rope, pulley, block and tackle that needs to be moved every time. A well written and imaginative series covering the naval adventures of a young officer in the East India Company. A well-known shipping company of great tradition and honour. A kindle is £2.04 and taking a peep inside I like the writing style. Shall I BUY or will I PASS? I’m going to BUY.